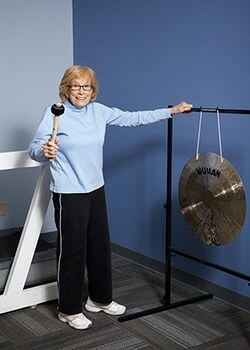 Everyone who graduates from their Agility Physical Therapy treatment in Tucson gets to Bang the Gong. Agility Spine and Sports Physical Therapy in Tucson is a local- Physical Therapist owned practice that opened in 1999. Agility has Physical Therapists that specialize in all orthopedic and musculoskeletal injuries, balance and vestibular problems, TMJ dysfunction, and sport injuries. We use many different approaches in our treatment that are the based on best practice evidence. The variety in our treatment affords us the opportunity to decipher what treatment will be the most effect for your particular ailment. We believe the road to recovery starts with proper care and understanding of your injury. Agility Physical Therapy in Tucson will take each step as professional as possible. We are a family oriented facility who takes pride in the wonderful loving atmosphere we have been able to create over the years. Over the years, Agility Physical Therapy in Tucson has been involved in treating many local sports teams as well as Professional, and Olympic athletes: Track and Field, Soccer, Rugby, Lacrosse, Baseball, Softball, Basketball, Swim, Football, Volleyball, Tennis, Hockey and more. The Team at Agility Spine and Sports Physical Therapy in Tucson does specialize in rehabilitating the injured athlete, but, we also love to work with anyone with a general musculoskeletal injury. We are very successful in getting you back to where you want to be as fast and as safe as possible. We set goals for our patients and we work step by step alongside our patients and their families as we facilitate and educate them on taking care of their bodies in the most effective manner. We offer strategies and treatment solutions that can be taken with you once you have graduated from our facility. 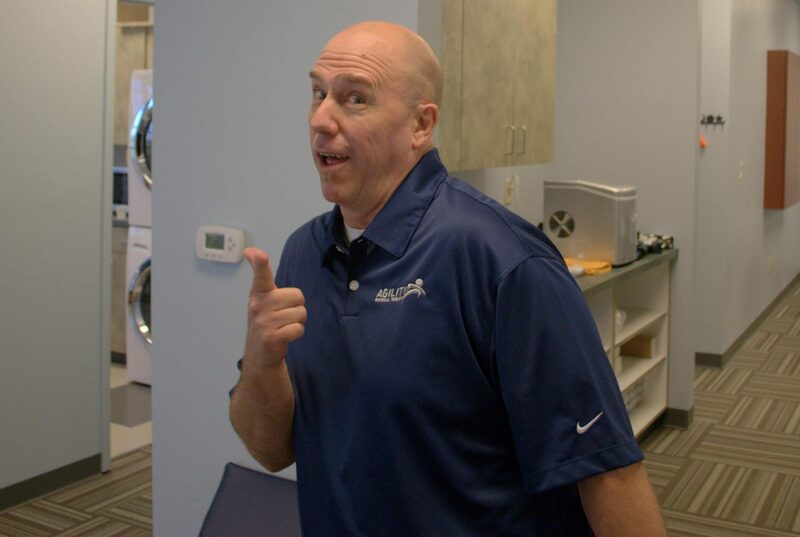 The doors are always open to our patients and we work as a unit to get you back to feeling the way you once did before injury or discomfort set in. We also give you the big congratulations you deserve from all the Physical Therapists at Agility Physical Therapy!